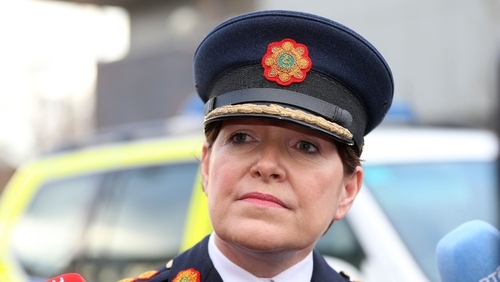 A senior garda was appointed to lead an internal inquiry into a high-ranking colleague, despite Garda Commissioner Nóirín O'Sullivan being warned a year earlier over alleged links between the two senior officers, RTÉ's This Week has learned. The accused garda is the subject of two serious complaints, made separately by two young garda whistleblowers. It is understood one of the garda whistleblowers withdrew from the complaints process, claiming the investigator and the accused had a close relationship. His lawyers wrote to the Garda Commissioner and Justice Minister Frances Fitzgerald at the time, in mid-2014, expressing his concern. However, RTÉ's This Week has established that the senior garda who was in charge of that investigation has now been appointed to lead an internal disciplinary inquiry into the high-ranking garda who was the accused in that first case. The internal inquiry arises from serious allegations made by the second whistleblower. Independent TD Clare Daly has said the revelation that the investigating garda was appointed to head up the disciplinary process despite the earlier concerns, indicated the system by which gardaí complain about governance or alleged criminality within the force cannot be trusted, and was unsafe. Speaking to RTÉ's This Week, she said the implications of the claims made by the two whistleblowers were of major significance. Ms Daly said it was beyond comprehension that the Garda Commissioner would re-appoint a senior garda to investigate another high-ranking officer despite concerns being raised over the case. The first complaint against the accused senior garda was made by Garda A in May 2014, after which the complainant went to the official interim confidential recipient Judge Patrick McMahon. Subsequently, Ms O'Sullivan appointed a senior garda to examine Garda A's complaint that he was singled out for unfair treatment after arresting another garda for a road traffic offence. It is understood Garda A, along with a junior solicitor employed by his regular lawyer, attended a confidential meeting with the investigating garda in June 2014. However, Garda A later discovered that shortly after this confidential meeting took place, the junior solicitor's LinkedIn profile was checked by the high-ranking garda whom he had accused of wrongdoing. Garda A's solicitor wrote to the Garda Commissioner and Minister for Justice in mid-2014, expressing concern over the alleged close relationship between the pair. The letter alleged a conflict of interest in the case which had not been disclosed. While Garda Headquarters did not directly address the concerns raised in that correspondence, they did write back to advise that new procedures were due to be introduced at that time, under the Protected Disclosures Act 2014, and that Garda A could choose to engage with that process alternatively. Under the new law, confidential disclosures could be made directly to the Garda Ombudsman Commission (GSOC). However, despite those concerns being raised by Garda A's solicitor, it has now emerged that Ms O'Sullivan has re-appointed the same investigating Garda to handle another complaint made by the second Garda whistleblower, Garda B, which was also against the same accused. RTÉ's This Week has separately established that the investigating garda and the accused garda worked at the same time on reports for an official Garda publication, a copy of which can still be found on the garda website bearing both of their names on the front cover. Both whistleblowers claim their careers have effectively been destroyed as a result of bringing their concerns to certain senior staff. Both men decided to go to the interim confidential recipient in 2014, following the efforts of Garda whistleblower Sergeant Maurice McCabe and former Garda John Wilson to publicise concerns relating to governance in the force. The two young gardaí said they were bullied and harassed after one of them arrested by a garda for drink driving, and after the other uniformed garda raised concerns about drugs crime investigations.